Orthodontics are used to straighten teeth for an enhanced smile and to restore functionality to your jaw and bite. The American Association of Orthodontists (AAO) recommends that all children should have an evaluation with an orthodontist by the age of 7 regardless of how many teeth have grown out. Orthodontists are able to predict if any structural changes will occur to the child’s mouth and cause future issues. Adults who lacked access to an orthodontist as a child or who suspect their once-treated teeth are shifting may also consider a visit to the orthodontist. There are teeth-straightening methods available for both children and adults. 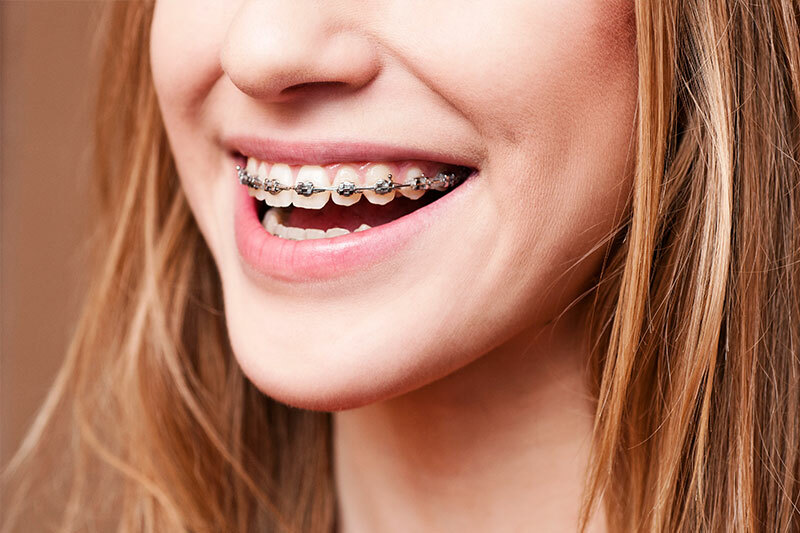 Metal braces are the most common form of braces. They are highly efficient at correcting orthodontic problems and are the most cost effective option. They come in many colors, including those that will match the shade of your teeth for added concealment. Invisalign is a popular straightening method for teenagers and adults. They are clear in color, removable, and work as effectively as traditional metal braces. They also work faster and require fewer appointments. This removable option is conducive to whatever lifestyle you want to lead—take them off for a couple hours a day without worries. Invisalign also allows patients to eat all the classic “off-limits” braces foods. Buttery popcorn? Crunch away. Gummy candies? Absolutely. Leave your hesitations behind with this low-maintenance option. Based on your budget and needs, we will be able to guide you in the right direction so that you are one step closer to obtaining the smile of your dreams. If you have any questions regarding orthodontics or if you want to schedule an evaluation or appointment, then please call our office at 949-622-0001.